Everywhere I go, I am noticing more green products, eco-friendly talk, no nasties in products. Its all music to my ears. I try and buy things that are earth friendly and better for me and my family. I scares me to even think about what all those harsh chemicals do to our babies and children and even us adults. More people are turning towards these products and finding products have become a little easier over the past few years. I didn’t cloth diaper Sadie and I know a lot of people do now. 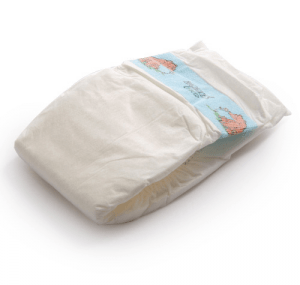 Its less money, better for the world around us, and maybe even better for our babies as you can buy organic cotton and bamboo diapers that might be better against your babies skin. I do notice now that the variety of disposable diapers is even bigger than when I had Sadie, just 3 1/2 years ago. Not only do they have the regular brands like Huggies and Pampers but there is also “green” diapers to choose from. 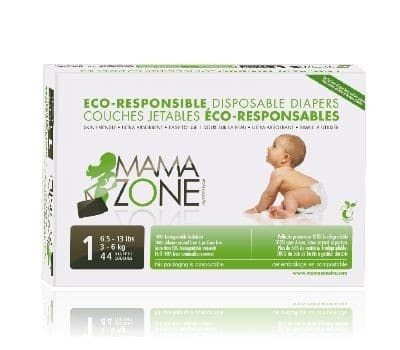 Mama Zone happens to be one of those brands to choose from. I was sent a bag of Mama Zone diapers to try out on my niece Gracie. They sent me 2 sizes as she was in between at the time. My sister does Cloth Diapering and loves it but when Gracie was first born she had a hard time finding a diaper that fit her when she was a newborn. She used disposable diapers for a while before switching totally over to Cloth. She didn’t have a bit of trouble with them and loved that they were eco-friendly. Gracie was around the 15 pound mark when she tried them out but she was tiny at the bottom so the stage 1 which are 6.5-13 lbs worked as well as the stage 2 which were 8.5-19.5 lbs. They didn’t leak and held the pee/poo smell in between diaper changes. The diaper packs retail for $19.99. Use coupon code SIMPLYSTACIE to get 10% off your next purchase.